And if you want specific crayon colors, you can buy crayons in single color boxes here at Amazon. 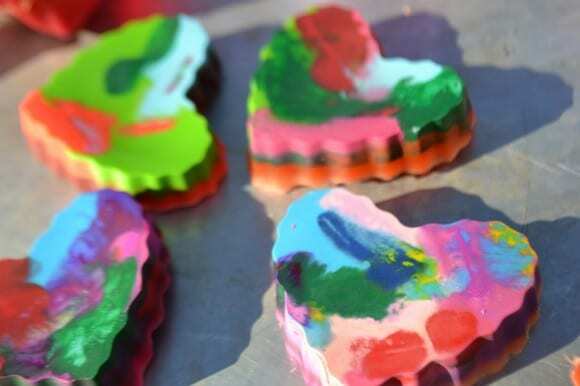 Look how cute Melissa's heart crayons turned out. 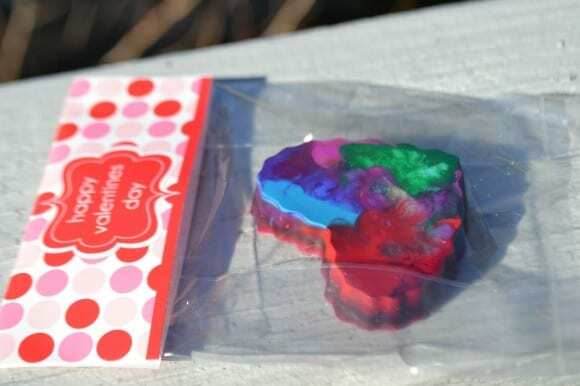 If you want to dress yours up like Melissa did, we've got cute Valentine's Day printable bag toppers here free on our site. To see Melissa's full tutorial head over to her blog The Joys of Home Educating. Thank you, Melissa, for the great idea! Nice idea! 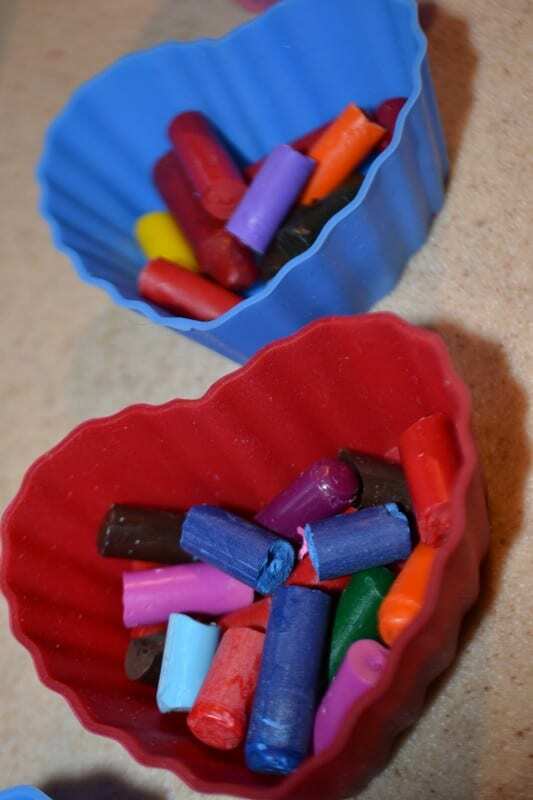 My kids have made crayons in muffin pans, but the heart shaped is even better! thanks CraftCrave for linking back!